The scruffy duffy's from Philly have always been one of my favorites ever since I was turned on to them way back in the early January days of '06. The style of Band flavored rock really struck a cord with me and I was excited to see them putting out an album so quickly after the amazing Fate. While I do think that Fate is an overall better release there is no shame in that for Shame, Shame. The songs are free flowing and punchy, the difference I noticed on this album (for the first time) was my ear gravitating much more towards Scott McMicken's contributions then Toby Leaman's. In the past one song would flow into the other, but here I think the McMicken led tracks all tend to be the standout's, such as "Mirror Mirror", "Jackie Wants A Black Eye" and the highlight track of "Shadow People". That said the album as a whole really works, even with a condensed running time. 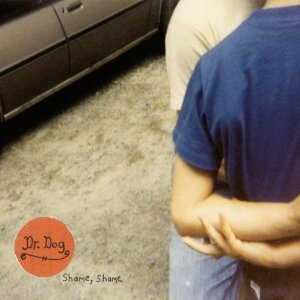 Good to see Dr Dog can leave their home studio and make an album for Anti Records that feels like a step forward with losing any of their past. I know I have talked about this album a bit before and even got to chat with Marissa about it, but I can't hype it enough. Over the last six months it has constantly been stuck in my head and I go back and listen to it all the time. Again I won't rehash too much of what I said before but the levels of song writing and playing here is really top notch and Marissa Paternoster is as obvious an up and coming star as I have seen in some time. From the powerful guitar tone and blast riffs on "Outerspace" to the deeply creepy "Black Lamb" to the piano epic "Call Earth", Holy Hell is heaven to the ears. If you had told me back in the spring that Heaven is Whenever would make the top 3 albums on RTBE I would have been a touch skeptical. Sure, when Stay Positive came out it didn't bowl me over, rather it blossomed after multiple listens...well Heaven is Whenever is even better then that disk and it really hit home as the year progressed. I still have a slight problem as I mentioned with some of the choruses, Finn has been so amazing in my mind with lyrics that when something misses you are surprised, but as I grow and age living in this city I find more and more common ground with the lyricist. The music cooks from the group, again "Hurricane J" wasn't a favorite when it leaked pre-album, but it has steadily gotten better in my mind. "We Can Get Together" has risen to epic levels and the opening and closing duo of "Sweet Part of the City" and "A Slight Discomfort" are brilliant. 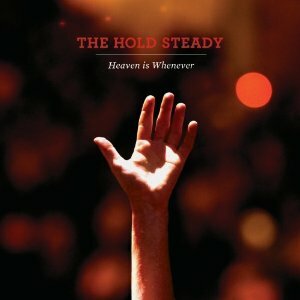 Granted this is probably their third or maybe even fourth best overall release from tHS, but sometimes a group just speaks to you and I can't deny that The Hold Steady continued to do that to me as the year progressed via Heaven is Whenever. 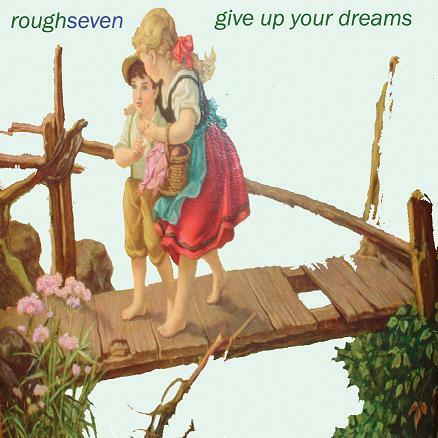 It's the one album I have given to the most people this year, it is the group that everyone should check out, it is the Rough Seven. 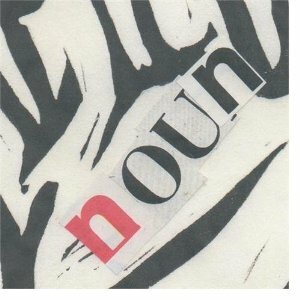 Ryan Scully and company have put together a champion first release with passionate songs that burn all night, worming their way into your brain and heart. There are nights, usually when a couple have been tossed back, that "Good Out Weighs The Bad" is a must listen...which usually just ends up being a must listen to the full album. As I mentioned before the group brings so much honesty to the forefront with Scully's lyrics, the backing vocals and group interplay that it makes it hard to feel bad even while listening to songs that are focused around breakdowns and heartache. "Meltdown" and "St. Christopher" are also must hears as is the album opener, hell the whole thing is, grab it now and enjoy. 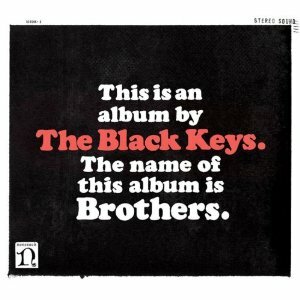 The Brothers in this case are Dan Auerbach and Pat Carney and their sound has never been better. With the group going through some personal hardships it is fantastic to see them exploding (in a good way) as a band. Sure they have been raw and reckless but this huge album expands upon their sound and shows a flair for 70's soul that the group has not displayed before. This one states that the band has arrived, being lead by rhythms, primarily bass and drums, give the duo freedom to explore avenues they probably never would have traveled down. Sometimes it sounds as if there is sonic flair in one of the speakers, but it just turns out to be a new electric fuzz layer the group included like on "The Go Getter". When I first heard the album I knew it was something special, and it only continues to grow with each spin of the turn table, "Sinister Kid" is pure funking goodness and "Next Girl" is raucous. Mega standouts are the harpsichord laced "Too Afraid To Love You" and the closer "These Days", but the duo has an all time classic on their hands with Brothers from start to finish. Hopefully they will continue to incorporate these new found instruments into their sound (both live and in the studio) to continue the syrupy tunes that coat and satisfy.